Home sweet home, this open concept home has much to offer. You will enjoy hosting family and friends either in the family room, dining room or outside on the oversized enclosed patio overlooking the lake. This 3 bedroom and 2 bath will not disappoint. 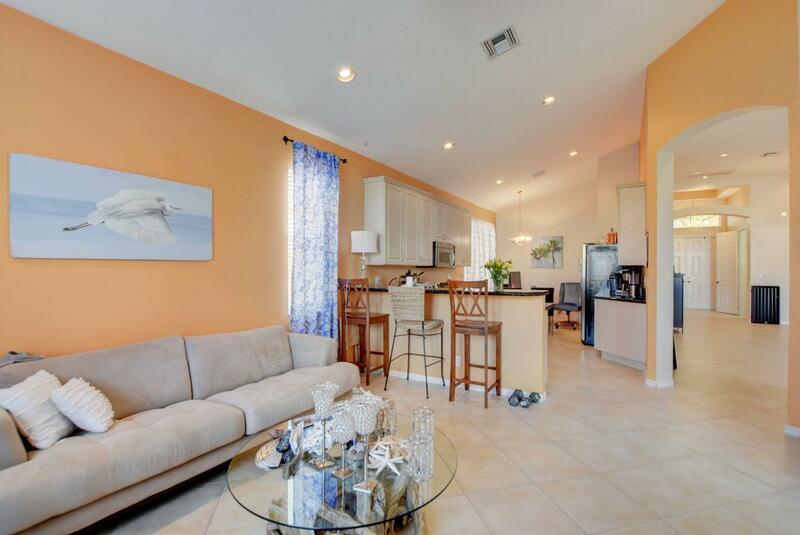 With upgraded kitchen, extended screened in patio, and gated community with all that your buyer will need including A rated schools, shopping and dining.